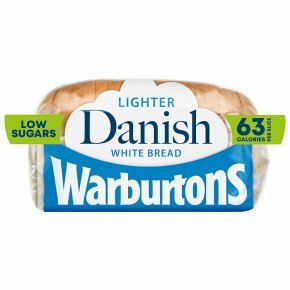 Danish sliced white bread, baked to be exceptionally light and airy. 266 kJ 63 kcal per slice. Suitable for vegetarians. "Everybody raves about how light and airy our Danish loaves are. It's because we use a larger baking tin to allow the bread to rise higher."